I have an instance of Ubuntu x64 16.04 guest running on a Windows 10 x64 Host. If I leave it running for an hour or two, it seems to lock and I can't get it to respond. I'm typically running it in as a normal window or full screen mode, not as scaled mode or seamless mode. I am running it with 3 virtual screens. I've clicking on the Ubuntu screen and waving the mousepointer around. I've also tried sending Ctrl+Alt+Del to it via the Input menu and with the Host+Del button. The screen just remains black until I power off the virtual machine. I have all the power suspend, etc. settings turned off as far as I can figure out. The UI for the powersettings is kind of confusing. I don't see a way to turn off the Turn off screen when inactive for: 5 minutes. There's nothing visual that changes when you toggle the lock setting on and off, but since the Lock screen after is disabled, so I would assume that it's off. 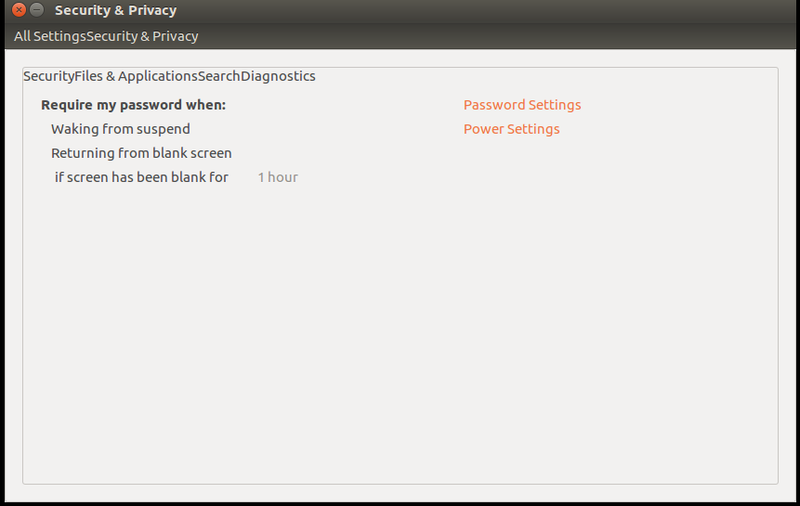 Browse other questions tagged linux ubuntu virtualbox virtual-machine or ask your own question. VMware Player 5.0.2: Hide full screen menu? How to SSH to virtual machine locally without internet connection (or external modem)?